Gorillas sometimes hum and sing while they eat, and a new study could help scientists figure out why. 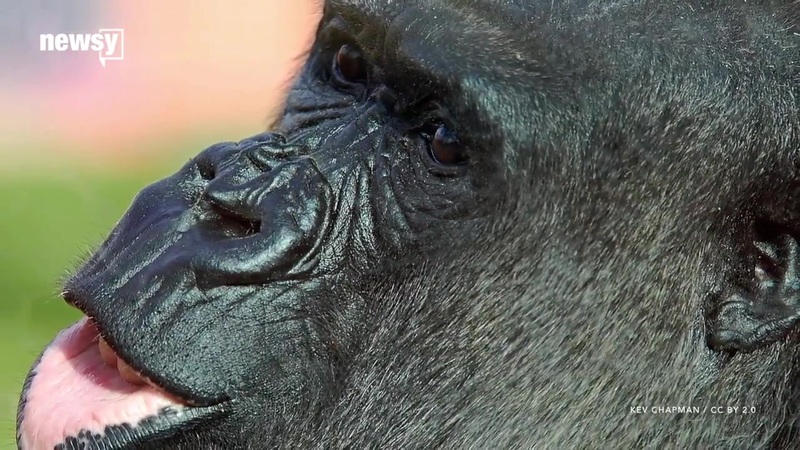 Researchers recorded a group of wild western lowland gorillas during meal times to capture these noises. One researcher told New Scientist: "They don't sing the same song over and over. It seems like they are composing their little food songs." The study, published in PLOS One, found older males had a higher chance of vocalizing while eating. They also found the gorillas made the noises more while munching on certain foods, like flowers or seeds. There's still not a lot known about gorillas' food sounds, but the researchers speculate that they could play some kind of social role. For instance, the older males might be letting everyone know it's meal time. Or they could be making the noises because they really like what they're eating.